Choirs. The earliest choirs in Ukraine were found in monasteries and princely courts. In the 11th century choral singing was taught at the women's monastery school in Kyiv. From the 16th century church brotherhoods organized choirs; the better-known of these were in Kyiv, Lviv, and Lutsk. 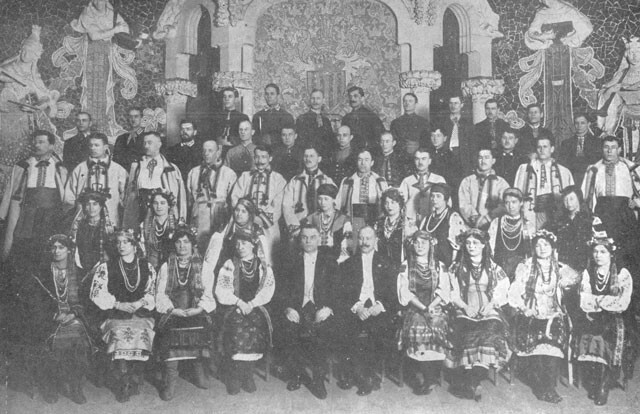 The choir of the Kyivan Mohyla Academy was particularly famous and had over 300 singers. At the end of the 19th and the beginning of the 20th century amateur choirs sprang up spontaneously all over Ukraine and became one of the forms of expression of the national awakening. 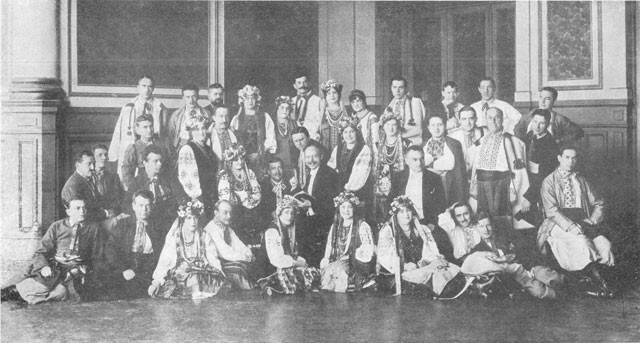 The best choirs demonstrated the excellence of Ukrainian choral art abroad: the Ukrainian Republican Kapelle, conducted by Oleksander Koshyts, toured Western Europe and America in 1919–20, and the Kyiv kapelle DUMKA Chorus, conducted by Nestor Horodovenko, performed in France, particularly in Paris in 1929. Amateur choirs are very popular in Ukraine and can be found in almost every village. Abroad, almost every larger center of Ukrainian émigrés supports a choir. The best known professional Ukrainian choirs today are DUMKA and the Verovka State Chorus in Kyiv, Trembita in Lviv, the Transcarpathian Folk Chorus in Uzhhorod, and the Byzantine Choir in Utrecht in the Netherlands.